I-85, which collapsed in a fiery blaze last week Thursday, has received an expedited timeline for its repairs. In a news conference this past Tuesday, Georgia Department of Transportation officials said they plan to complete I-85 bridge repairs and reopen it by June 15. That estimate means that if repairs stay on schedule, Atlanta commuters will have to manage reroutes and delays for 10 weeks. 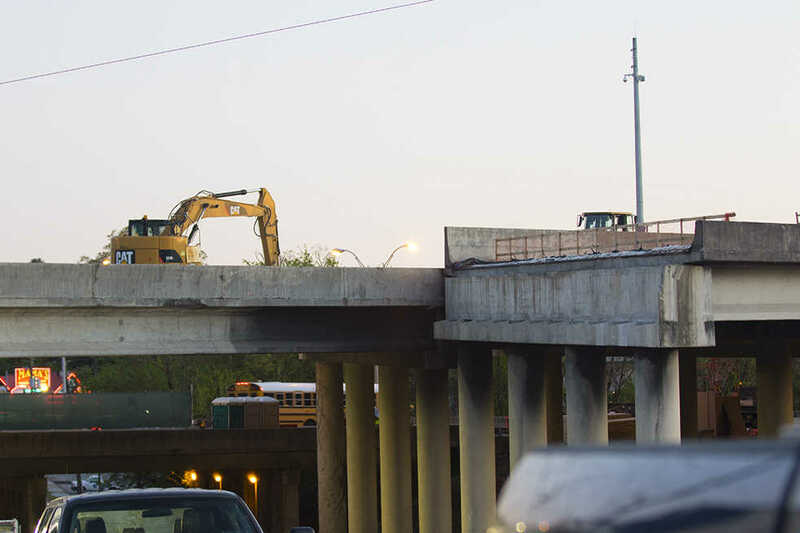 The I-85 bridge collapse has placed a tremendous strain on Atlanta’s road infrastructure, according to Michael Hunter, associate professor of transportation systems engineering in the School of Civil and Environmental Engineering. Hunter says two effects might help mitigate some of the congestion over the months when I-85 is down: the increased usage of alternative transportation modes, such as riding MARTA, biking or walking; and the use of GPS and other travel software to find less-known but more efficient routes to drive through the city. According to several reports, MARTA has already seen a large uptick in ridership as some commuters attempt to avoid road traffic. For the past weekdays, MARTA’s Twitter page has been alight with alerts about full parking lots as parking space at stations fill up. In addition to funding to rebuild I-85, Gov. Nathan Deal is seeking federal financial assistance for MARTA and the Georgia Regional Transit Authority (GRTA) to cover costs of increasing their capacity and services to meet increased demand over the upcoming months. Hunter says the key to improving Atlanta transit is not building more lanes and more roads, but to continue to diversify modes of transportation: pedestrian, cyclist and public transit. However, Hunter says it’s an “open question” whether any changes in travel behavior are going to stick after I-85 comes back online.